If you have any questions or want to enquire about dates, use our form to contact Silvia Maestrelli or see their website for more information. 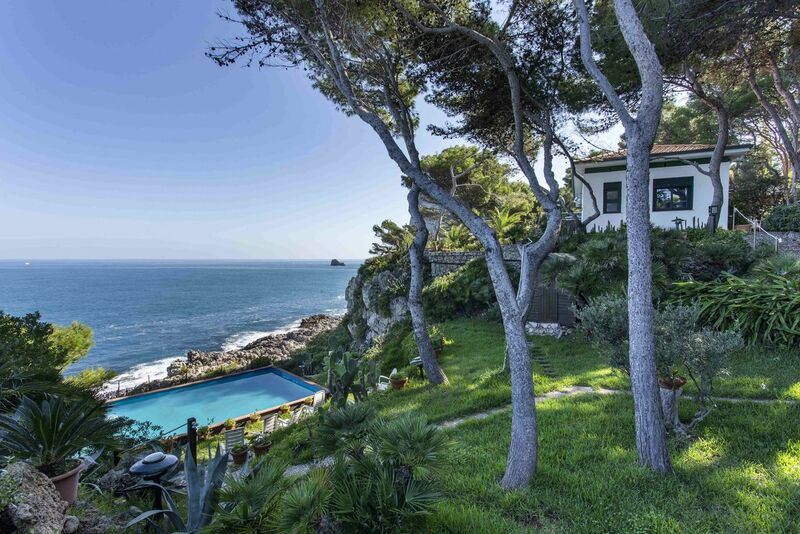 Relax on the terrace with a glass of red Musmeci and admire the vineyards below. 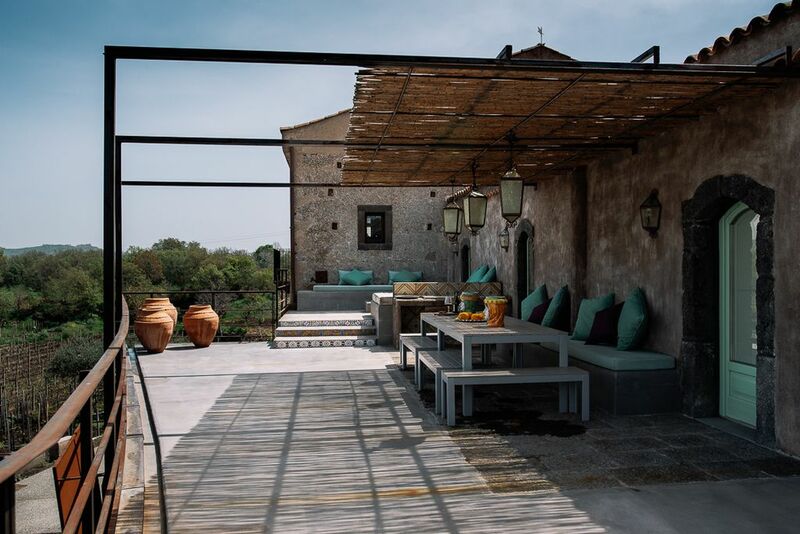 You’ll love the view, and the wines: they’re among the best in Sicily. This small winery, off a winding road on the rich slopes of Etna, is a work of passion for winemaker Silvia. As for the 17th-century ‘borgo’, the layout is intricate and the style exquisite. Wallow in Ortigia stuff in first-floor bedrooms; they’re smaller than the suites but have the views. Then set off on the vintage train that skirts the volcano and runs from Catania to Riposto – 110km! This being Sicily, everything is local or home grown. Breakfast includes delicious cooked fruits, homemade almond biscuits and ultra fresh ricotta. There’s a chef in the house so book dinner – or a tour around the vineyard, and a picnic in the shade of the trees. Dinner and Lunch available on request, €50 per person. Restaurants 2.5km. In this increasingly well-respected wine region, the borgo lies on the edge of tiny Rovittello (2.5 km), strolling distance from Circumetnea, ‘the vineyard train.’ Linguaglossa (5km) is your nearest town. Obviously the Etna region is famous for the volcano, and the closest access to the crater (Piano Provenzana) is a half-hour drive. Trekking and donkey tours can be arranged by the hotel. You can ski in winter, cycle and ride in summer. 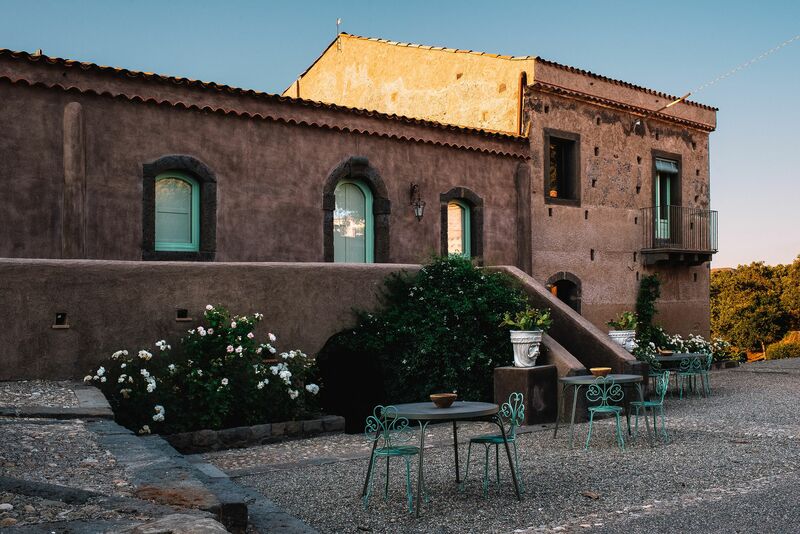 Our rooms are made from the original buidings around the ancient hamlet, we left the traditional lava walls in our suites, the superiors are buited up on the old Palmento facing the vineyards. Owner Silvia, who comes from Tuscany, bought the property in 2007; later she added this seven-hectare vineyard, whose Nerello Mascalese vines are more than 100 years old. 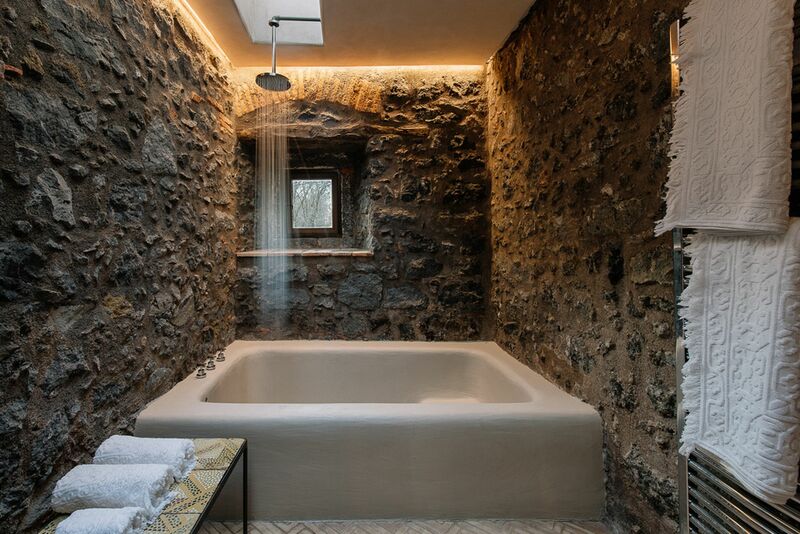 She is now a respected member of the Etna wine community and opened this hotel in 2018. Marina, hospitality manager and sommelier, and Jacopo, sommelier and assistant winemaker, are professional, helpful, and charming.